In an age supposedly dominated by high technology, the warplane involved in more headlines than any other in 2014 is the simple Sukhoi Su-25. This aircraft is an armoured close air support developed by the Soviet Union and remains in widespread use around the world. When the Iraqi government forces urgently required close air support they turned to the Su-25; Iran obligingly giving back the airframes they ‘confiscated’ from when they claimed asylum to operate alongside ex-Russian aircraft which were delivered with alacrity to aid the fight against ISIS (though in the event the Iraq air force didn’t have the experience to operate them). 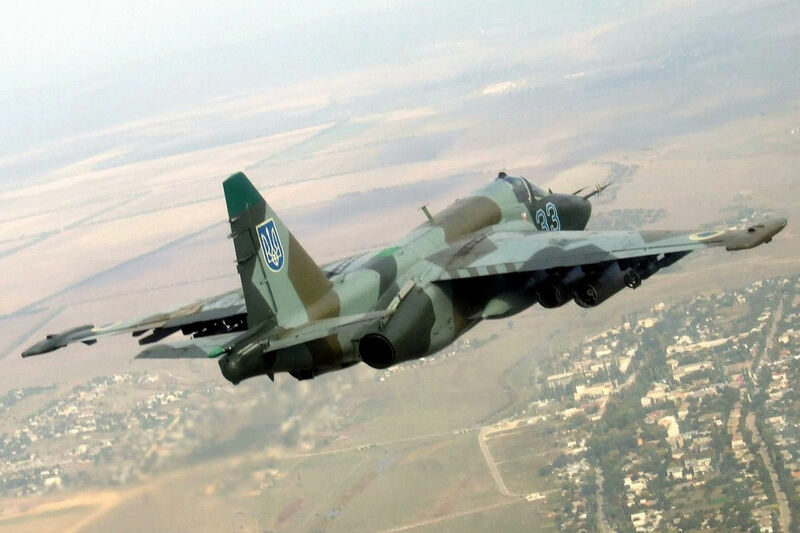 In 26th May, Ukrainian Su-25s supported Mi-24s helicopters during a military operation to regain control over the airport in Donetsk, during which the Su-25s fired air to ground rockets. On 2nd July 2014, a Ukrainian Su-25 crashed due to a technical fault. According to Russian new agencies and western anti-globalisation websites, the Malaysian Airlines 777MH17 was shot-down by a Ukrainian Su-25. The Western view is that it was downed mistakenly by pro-Russian forces with a Buk surface-based defence system. On 16th another Su-25 was shot down. Ukrainians claim it was shot down by a Russian MiG-29 fighter with a R-27T missile, allegations which the Russian government have denied. On 23rd July 2014, two Su-25s were shot down in the Donetsk region of Ukraine. A spokesperson from the National Security and Defense Council of Ukraine stated that the planes were shot down by missiles fired from Russia. Another Ukrainian Su-25 single-seat fighter was shot down today by pro-Russian forces over Luhansk Oblast in eastern Ukraine (August 20th). Do we know if the pilots survived? A pity, they’re nice, and very capable, birds. are being shot down (especially post MH017)?